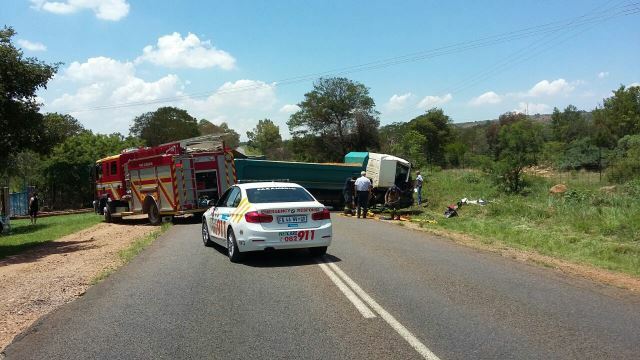 A man has died and another is in a critical condition after a truck collided with a vehicle on Graham road in the Boskop area, Pretoria. The exact detail to the cause of the accident will remain a subject for police investigation and comment. When Netcare911 paramedics arrived on the scene, we found that the driver of the vehicle had already died. The man was declared dead at the scene. Paramedics also found the truck driver to be in a critical condition. He was stabilised on scene and thereafter transported to a nearby hospital for further medical care. This accident happened this morning at about 11h00.